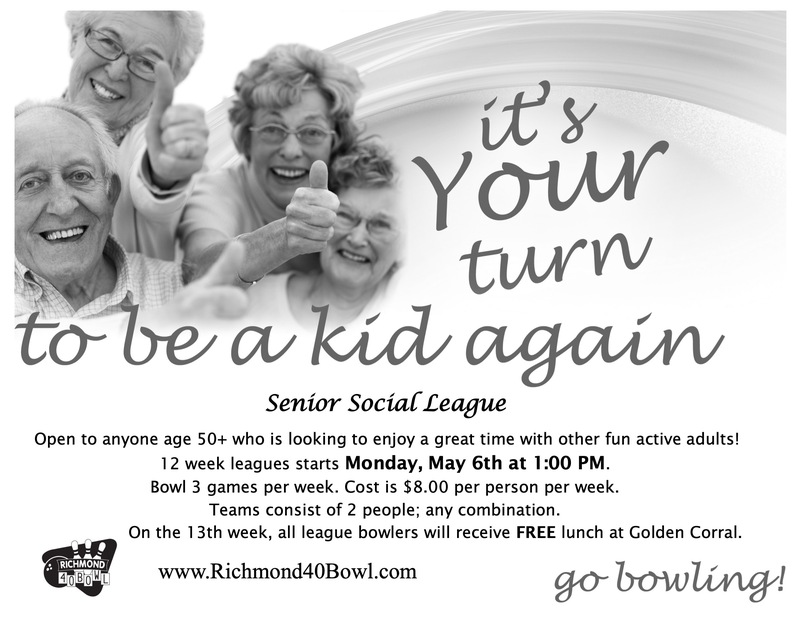 Bowling Leagues are a Great Time at Richmond 40 Bowl! 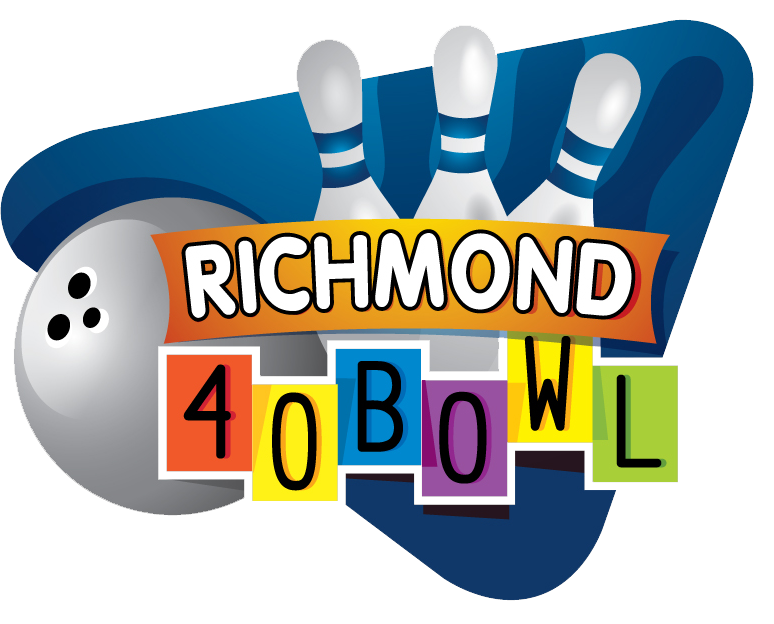 At Richmond 40 Bowl we have many different bowling leagues including traditional and No Tap (9 or more on your 1st Ball counts as a strike). 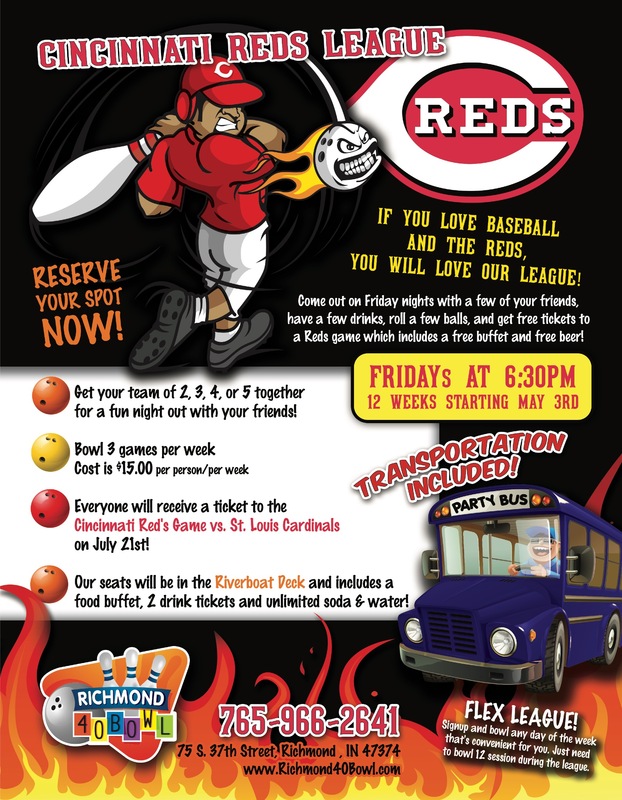 Many different prizes (cash prizes, bowling balls, fun outings (like Cincinnati Reds, Indianapolis Colts, Kings Island, etc. ), fun licensed merchandise (like Nascar, NFL, Nickelodeon etc.). 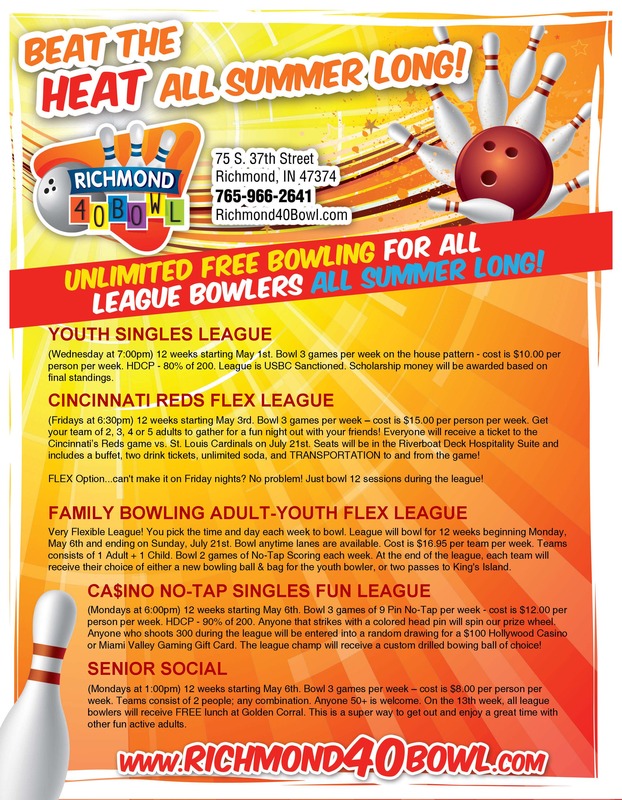 Some Leagues have weekly prizes (Pizza, Soda/Beer Pitcher, Wine etc.) Costs vary by league. 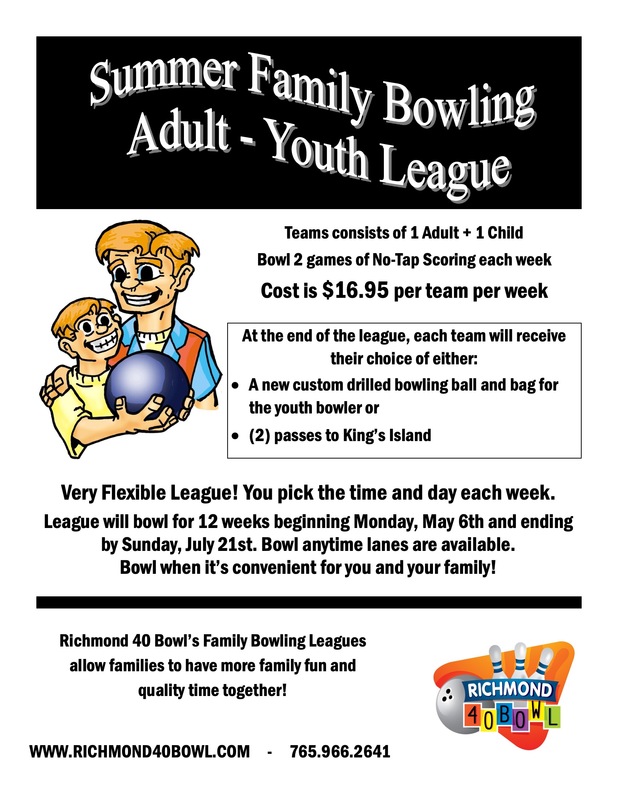 Leagues run from 6-35 weeks. We have something for everyone. Check back monthly for new short season leagues. 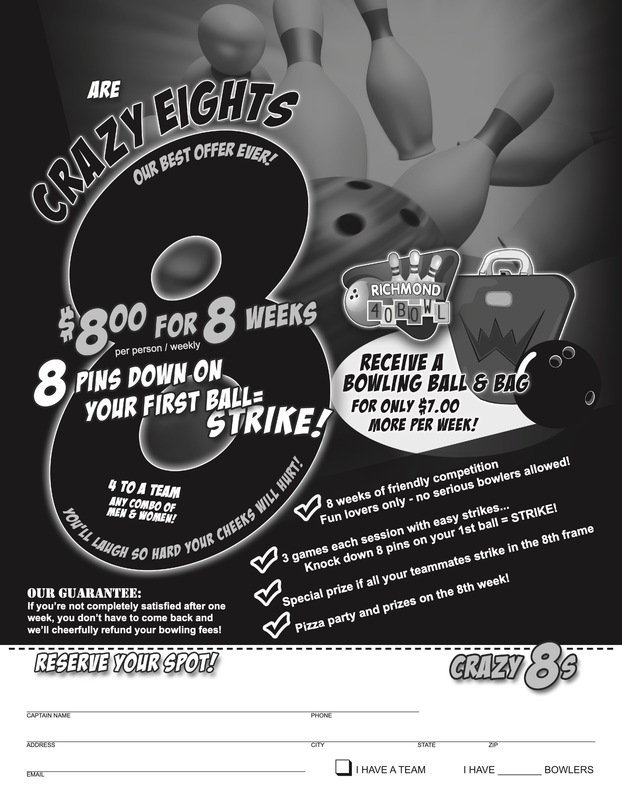 Click on a flyer below for a larger version. 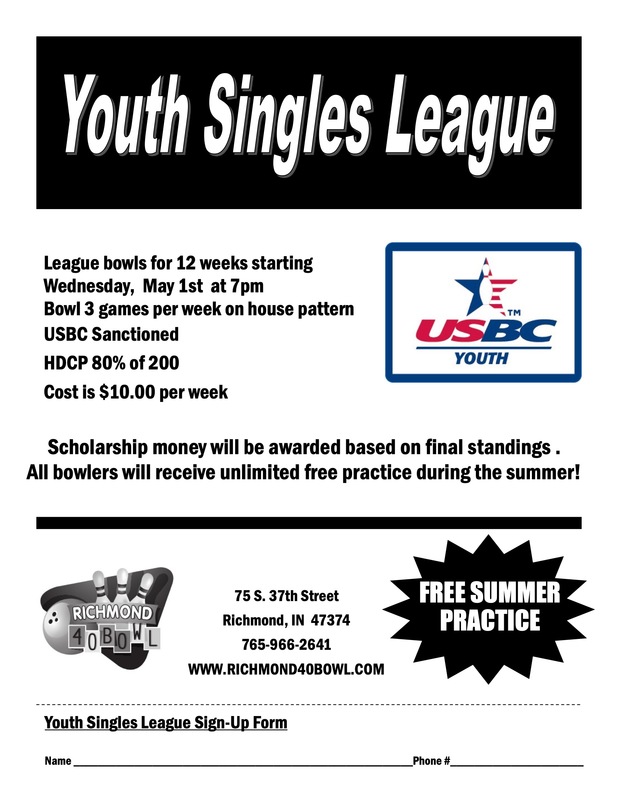 Please contact us at (765) 966-2641 or fill out this form to join a league or get information on starting your own.